Want to run contests on a post where fans "comment" or "Like" to enter? This guide will show you what you need to do, how to create for the most success, and the items you need to include to meet Facebook requirements. 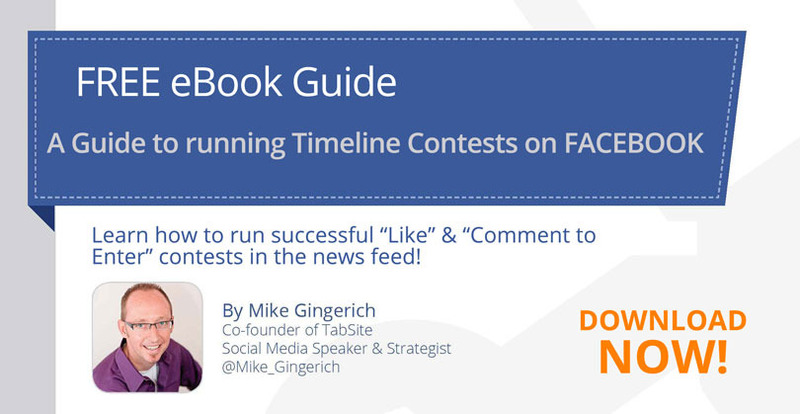 Sign-up to gain access to our PDF guide on how to successfully run a Facebook Timeline Contest!